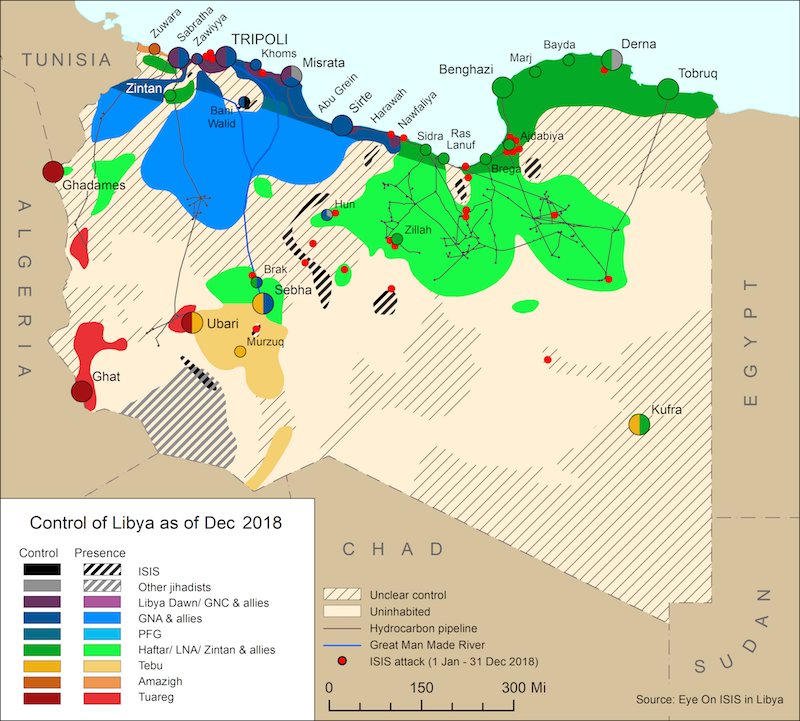 On 15 August, the LNA mobilized its forces to the Oil Crescent and declared a state of emergency in the region following reports of Ibrahim Jadhran allied militias traversing to the Wadi Zamzam area. 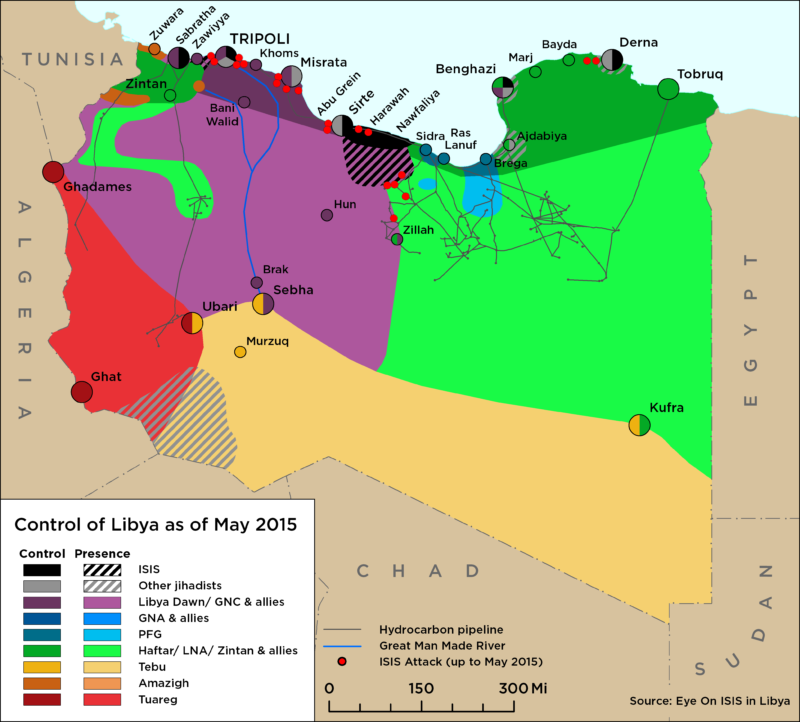 The blockade against Qatar continues, with several Libyans blacklisted for ties to Qatar. The UN Expert Panel on Libya’s latest report highlights UAE support to the LNA and the role of foreign mercenaries, while the UNSC extended the arms embargo against Libya. Egypt issued a statement calling for Libyan parties to continue with political negotiations, but did not mention the BDB advances against the LNA. The UN, UK, US and France have condemned the escalation of violence. The PC issued a statement condemning the BDB’s attack on the oil crescent on 3 March, however two PC members have publically said they support the BDB while GNA MoD has also been accused of supporting the attacking force . The LNA launched airstrikes against several BDB positions in Jufra, killing two and injuring six. The BDB then managed to down an LNA helicopter, killing the whole crew, and released a video showing the attack. Fighting in Benghazi reduced dramatically in the last week, with only intermittent clashes taking place between the Libyan National Army (LNA) and jihadists, while the LNA continues to launch airstrikes against Derna Mujahedeen Shura Council (DMSC) positions in Derna.